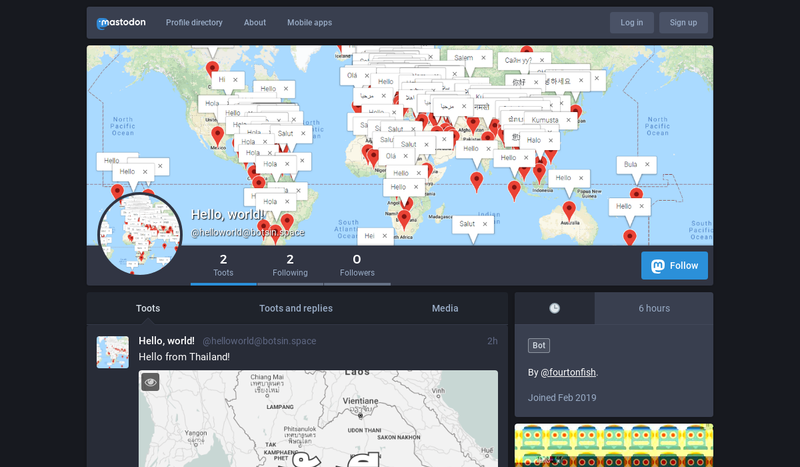 This is a Mastodon and Twitter bot that posts the translation of the word “hello” superimposed over an image showing the corresponding country’s map. Say hello to your website visitors in their native language. A fun little project that lets you say “hello” to the visitors of your website in their native language.